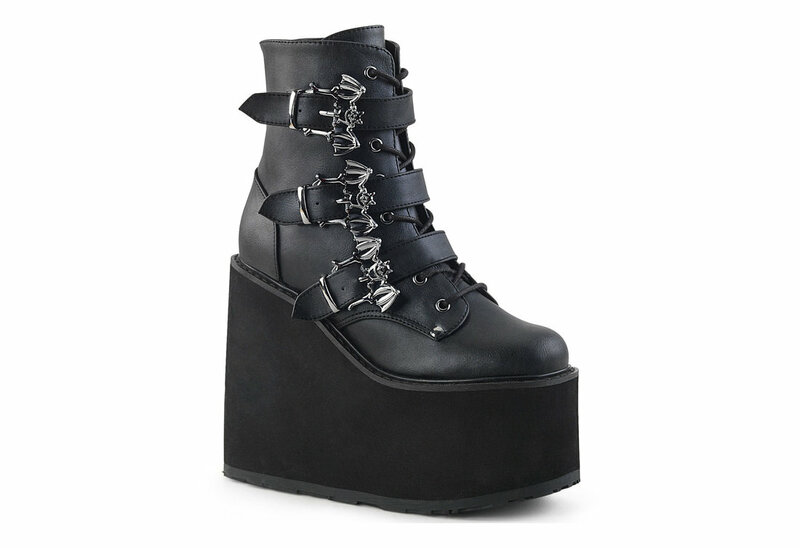 Cant get enough of bats? 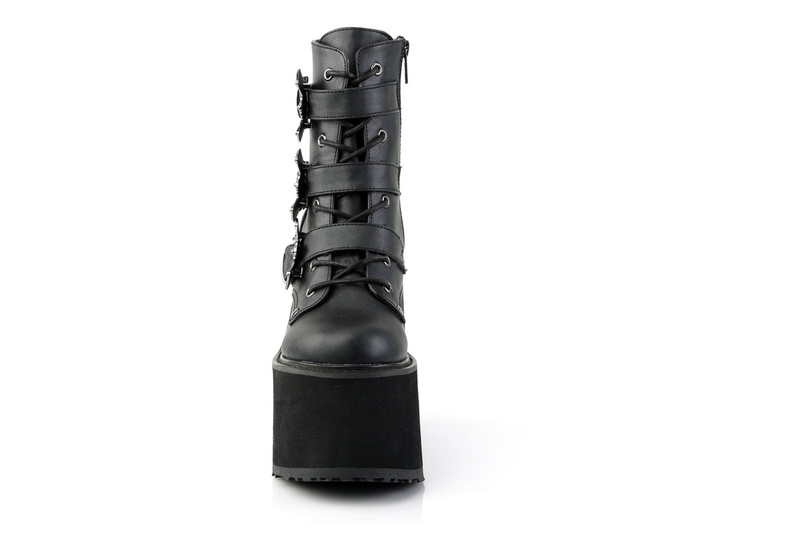 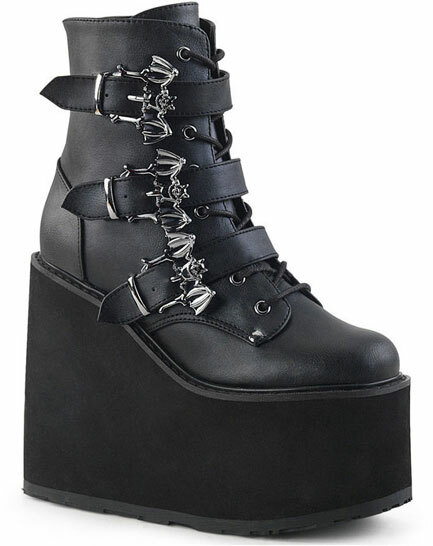 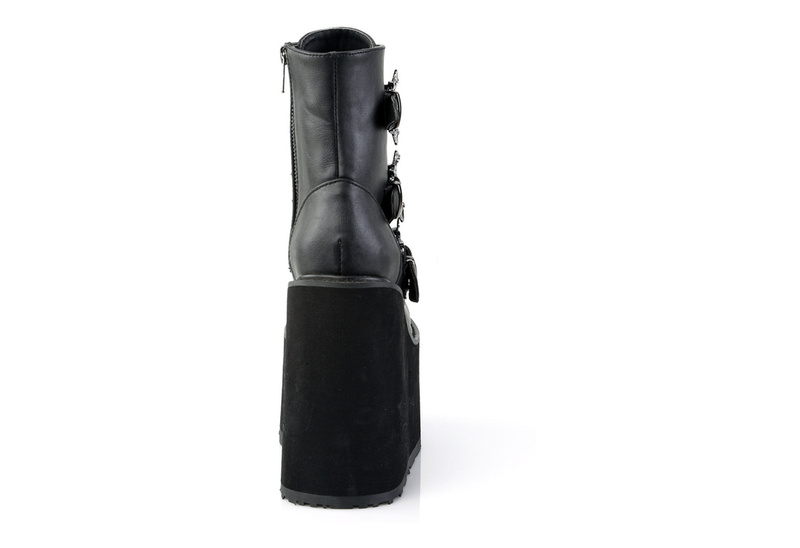 The SWING-103 is a black vegie leather platform boot with super cute bat buckles. 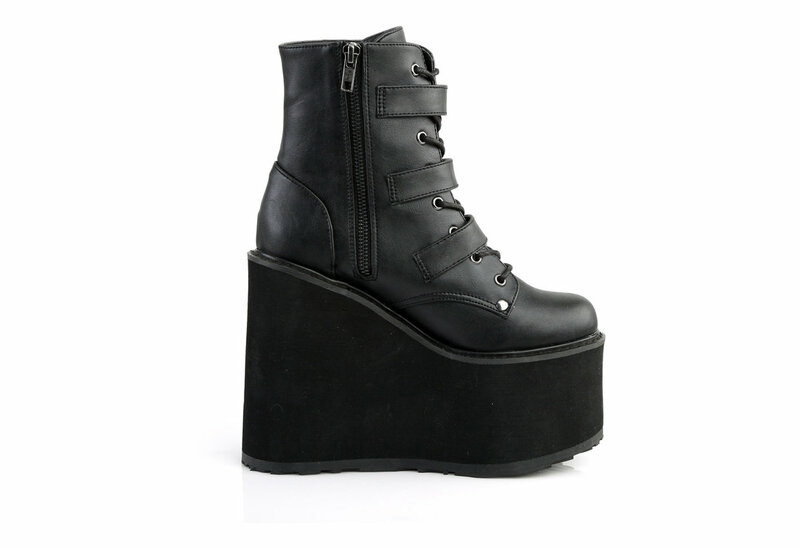 The platform heel measures 5 1/2 inches and has a front lace-up with a metal inside zipper closure.